On November 20, 2017, the U.S. Department of Homeland Security (DHS) announced the termination of the temporary protected status (TPS) designation for Haiti. Under the TPS program, the secretary of homeland security “may designate a foreign country for TPS due to conditions in the country that temporarily prevent the country’s nationals from returning safely, or in certain circumstances, where the country is unable to handle the return of its nationals adequately.” TPS provides applicants with a temporary immigration status enabling them to remain in the United States and obtain employment and travel authorization for a designated period of time. TPS status has been available to Haitians since January of 2010, when a major earthquake caused severe damage to the region. Earlier in November of 2017, Secretary of State Rex Tillerson advised DHS of the state department’s view “that conditions in Central America and Haiti that had been used to justify [TPS] no longer necessitate a reprieve.” In response, DHS announced the termination of TPS for Nicaragua on November 8, 2017. As a result of the November 20 announcement, almost 60,000 Haitians covered by TPS will have until July 22, 2019, before they are required to leave the United States. Employers should anticipate that the termination of TPS for Haiti will result in employees losing work authorization and the ability to remain in the United States after July 22, 2019—unless they are able to obtain separate lawful status by that date. Employers may also want to note that the granting of TPS does not terminate any other lawful status the employee may already hold (such as H-1B or F-1 optional practical training). If an employee continues to maintain a separate work-authorized status while holding TPS, they will remain work-authorized, even after their TPS expires. 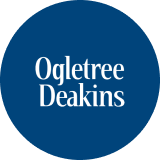 Ogletree Deakins’ Immigration Practice Group will continue to monitor DHS’s updates on the TPS program. On March 21, 2014, the Office of Federal Contract Compliance Programs (OFCCP) announced that it is launching two new databases to assist federal contractors and subcontractors. The new databases are intended to help contractors and subcontractors meet the OFCCP’s new veteran regulations implementing the Vietnam Era Veterans’ Readjustment Assistance Act….. The Supreme Court held that the privacy clause exception in the Open Public Records Act (OPRA), which protects from public disclosure information in the public sector pertaining to a sexual harassment complaint or grievance filed with a public employer, did not provide a sufficient basis for the County of Monmouth to withhold public disclosure of its agreement with an employee to settle her sexual discrimination, sexual harassment, retaliation and hostile work environment claims.